Crowdfunding is one of the most exciting, yet challenging routes to funding for all types of business. Having read through other books on crowdfunding we realised one simple thing… there was a serious lack of simplicity in the books we’d seen. Not only that, we’ve raised funds, consulted entrepreneurs on how to raise capital through crowdfunding and of course contributed to success stories. 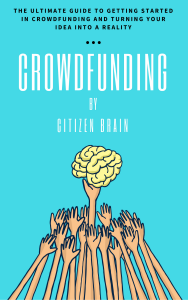 Citizen Brain isn't just one author, it's many. A collection of the curious, creative and fun. We want to write books on some of the world's most interesting subjects, but share them in a format that means anyone can pick them up, to understand it in their lunchbreak.